Picture this: You finally finish the project you’ve been working on in SAP HANA studio and excitedly wait to see the results of your hard work. What you come across, however, is not exactly what you expected. If you’re in this situation, read on… or follow along to this video. The arrival of the data you uploaded is delayed. Why? 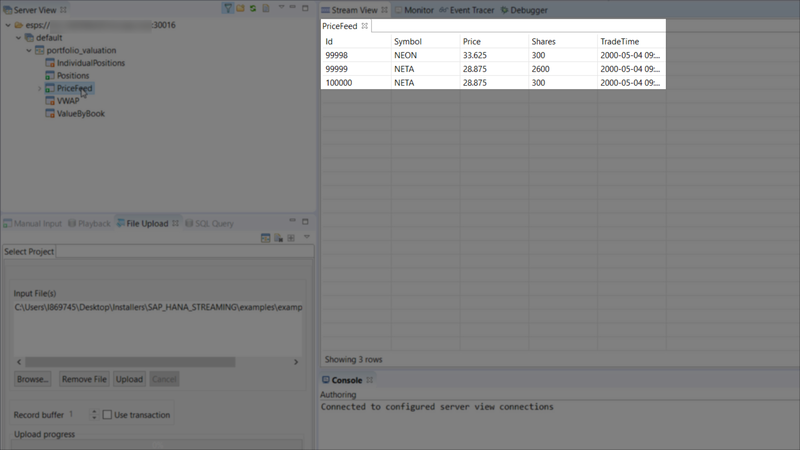 Studio might have blocked this data in trying to keep up with the data flowing through the server. 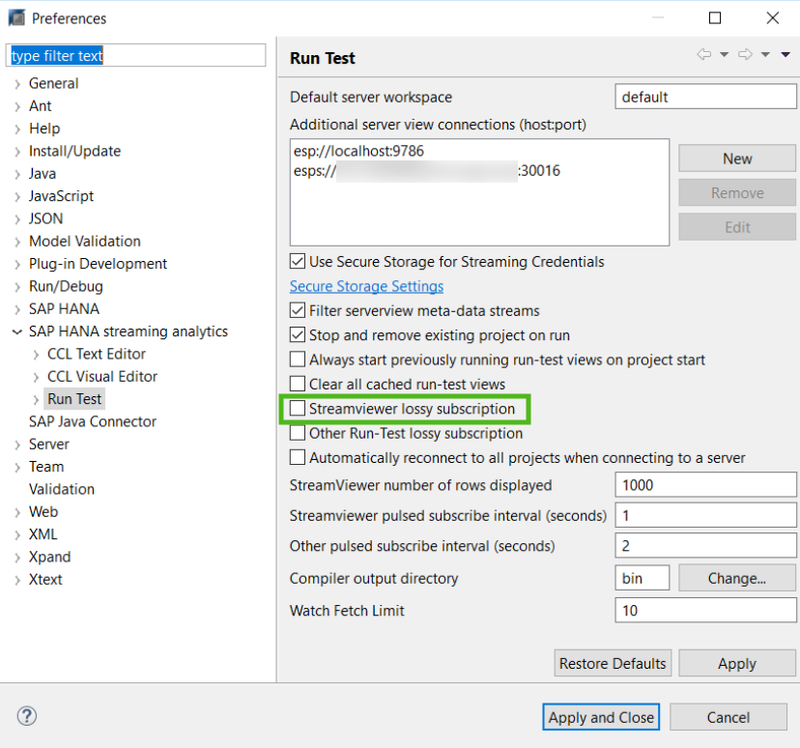 Go to Window > Preferences > SAP HANA streaming analytics and select Run Test. This lets studio keep up with incoming data. Once you’ve clicked Apply and Close, rerun your project to watch the magic happen. You’ve opened the Stream View but can only see a few rows. Why? Your number of rows might be set to a small number. 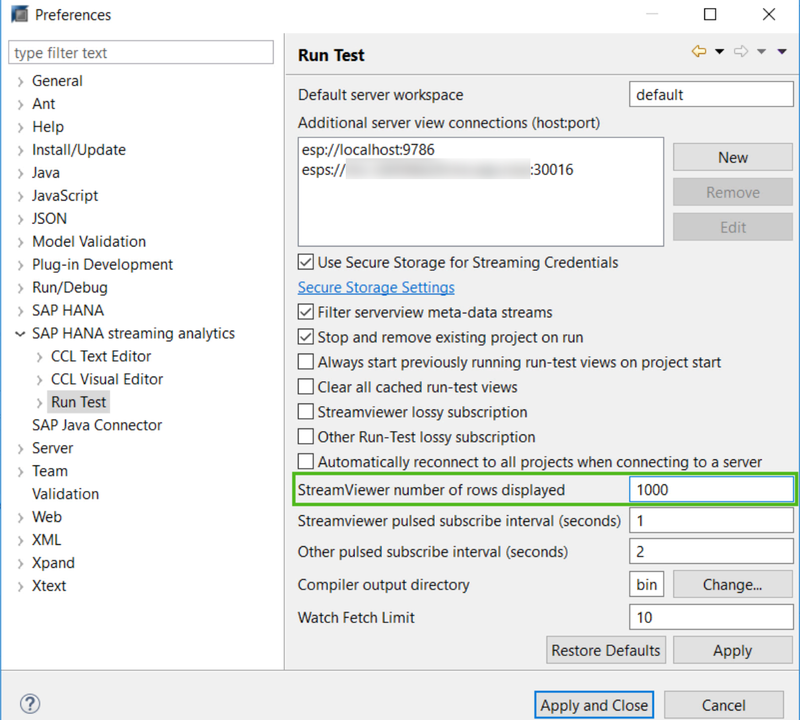 Open the SAP HANA Streaming Run-Test perspective. In the top right corner of the Stream View, click the Set StreamViewer Number of Rows Displayed button. Enter your desired number of rows, then hit OK.
To see more data now, just close and re-open the stream. Tip: You can also change the number of rows through the Run Test option like in case 1. Note: Be careful, as increasing the number of rows will increase the amount of memory you use. In this case, the data might have already been processed. You should take a look at Stream View Displays No Data for more on this issue. If you’re curious about the different Stream View preferences, check out Viewing a Stream. Have you come across other problems in the Stream View? We want to know. Comment below!